June 30 is the anniversary of the Yosemite Grant, the birth of the national park idea. President Abraham Lincoln signed the Yosemite Grant Act in 1864. In October of the following year, 40,000 acres of sublime glacier-carved California wilderness debuted under the name Yosemite Valley—now the most visited portion of today’s larger Yosemite National Park. 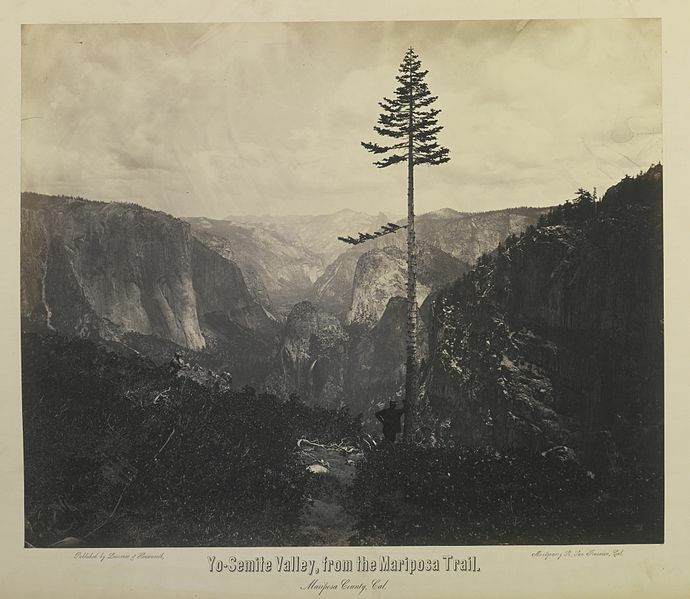 Although the inaugural act did not make Yosemite the first national park, the grant did set the stage for the formation of national park system in later years. It was the first time the U.S. Government moved to protect wild lands. Thus, these design guidelines operate as an ethic, a set principles to guide sustainable architectural and landscape work and maintain the distinctive character of Yosemite. It’s a reference book for anyone working to make the built environment compatible with the incomparable natural surroundings. And it’s an assurance that all structures and facilities will be aligned with the park’s values and spirit. Maps and historical images tell the tale of a natural splendor that has endured because of this very conscientiousness and reverence. President Theodore Roosevelt called Yosemite a “great solemn cathedral, far vaster and more beautiful than any built by the hand of man.” A serene valley protected for public use and preservation in the midst of the Civil War became a piece of America’s natural heritage. Yosemite continues to draw visitors and conservationists from around the world. With the right design guidelines in place, it will continue to inspire generations of Americans to find peace in the masterpieces of nature. This entry was posted on Wednesday, June 29th, 2016 at 6:05 pm and is filed under Department of the Interior, National Park Service, National Park Service. You can follow any responses to this entry through the RSS 2.0 feed. You can leave a response, or trackback from your own site.